Suffolk is fast becoming one of the leading tourist destinations in the country. While staying at a luxury holiday cabin at Windmill Lodges in Suffolk, you will find a hugely varied range of places to enjoy. Whether you are after walks in the countryside, culture or bucket-and-spade visits to the beach, the county caters for every taste. Some of the best places to visit in the area are right here on our doorstep. Windmill Lodges is situated in the charming village of Saxtead, which can boast a fine church, parts of which date from the 13th and 14th centuries, and Saxtead Green Post Mill, operated by English Heritage. Summer holidays in Suffolk offer the chance to visit a host of other destinations within easy reach of Windmill Lodges. Here are just a few of them. If you do like to be beside the seaside, then this resort is a good place to visit. It used to be a fishing village, and there are still plenty of fisherman’s huts on and around the town’s Blue Flag shingle beach. One of the enduring delights of a visit there, particularly if you have an appetite and like to sample local fare, is being able to buy fresh fish as well as ice cream. Every August the town hosts a spectacular carnival, complete with floats and princesses, attracting thousands of people, as part of a packed three-day programme of events which highlight Aldeburgh’s thriving community spirit. 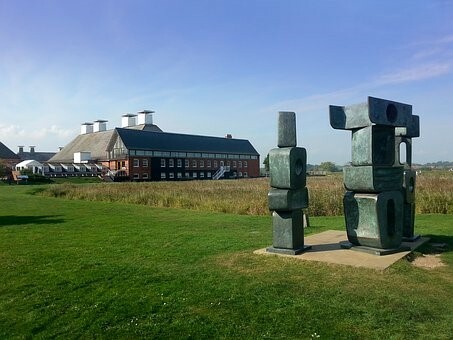 Nearby Snape Maltings hosts the Aldeburgh Festival, and this June’s event is its 50th anniversary. The summer Snape Proms run from August 1 to September 1 this year. This year an additional Aldeburgh attraction is a stage of the Tour of Britain cycle race, which goes right through Suffolk on September 8 before finishing in the town. Southwold is a throwback to a bygone era, as it is a resort with a lot of old-fashioned charm. If you enjoy a pint of Adnams, this is the place to come, as it is the home of the world-famous brewery. If you prefer small, independent shops rather than large chain stores then this could be the place for you. The town is family-friendly too. There are top-quality sandy beaches if you have children who enjoy a traditional holiday with ice cream; there is an amusement arcade on the pier and regular Punch and Judy shows in the summer months. Southwold and Aldeburgh are both within the Suffolk Coast and Heaths Area of Outstanding Natural Beauty. If you like a leisurely ramble with the wind in your hair, what could be more enjoyable than a saunter by the seaside? Sandlings Walk, for instance, runs from Southwold to Ipswich and, at 60 miles, is one of the longer treks you can do; but there are plenty of shorter ones where you can still take in the beauty of the area’s countryside. If you are a fan of the arts, you should check out the summer theatre programme which runs both here and in Aldeburgh between July and early September. The Southwold Summer Arts Festival is a more recent addition to the calendar. This year’s event is being run over eight days in June and if you like drama, art, music or photography you should find something to enjoy. This picturesque coastal village lies on the other side of the River Blyth to Southwold and is also an ideal spot for a seaside walk if you want to get away from it all, or just spend some quality time away from some of the stresses and strains of everyday life. Walberswick can boast tea rooms, pubs, restaurants, an art gallery plus craft and gift shops. It used to be home to the British Open Crabbing Championships until it attracted more crabbers than the village could cope with. But it is still great fun to try your hand at it individually, and children in particular love to go crabbing. This quiet market town almost on our doorstep is where pop sensation Ed Sheeran grew up. Framlingham’s dominating feature is its impressive 12th-century castle, which is well worth a look around. To get out and about during summer, you could also try the town walk which comes with an audio guide. Shoppers with an eye for an antique should find a stroll around some of Framlingham’s shops particularly rewarding. If you want to enjoy some delicious fare, the town’s regular markets contain plenty of farmers’ produce. The town’s St Michael’s Church is notable not just for its architecture, but also because it hosts top-quality musical concerts throughout the year. If you want to book a luxury holiday cabin in Suffolk, then Windmill Lodges is a perfect place to relax. During summer, it’s great to plunge into our heated swimming pool on site – the ideal way to rest your weary limbs after exploring the coast and countryside. You are guaranteed plenty of home comforts in our four-and five-star log cabins, such as hot tubs, leather sofas and luxury beds and linen. Click on the link to check availability and make a reservation. Self-catering holidays in Suffolk offer the perfect opportunity to explore the county’s history. During your visit, you will find plenty of ancient buildings to discover. This includes a host of spectacular churches which are close to Windmill Lodges, so you won’t have to travel far to enjoy their unique atmosphere. Here is a guide to some of our favourites, which you might like to visit during a stay at our log cabins at Saxtead in the Suffolk countryside. Framlingham St Michael’s is the parish church of this historic market town. It is open daily from 8.30am. There is a children’s group, choir and a singing group with a small band. This community church has been at the centre of the town’s life since medieval times, and has a Chancel arch dating back to the twelfth century. St Michael’s has royal connections and was previously part of the Duke of Norfolk’s estate, so you will find some magnificent tombs there. This church has many special features, such as the sixteenth century roof with its intricately carved wood, and items from some of the famous battles in British history, such as when Henry VIII’s army beat the Scots at Flodden in 1513. Blythburgh Holy Trinity stands on a site dating back to 630 AD. 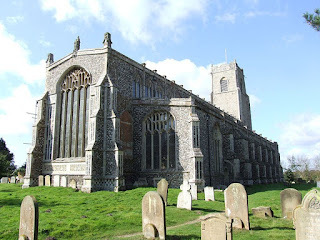 It is sometimes called the Cathedral of the Marshes due to its location on the Blyth estuary, and in 1087 it was considered one of the richest of all the Suffolk churches. This church is a considerable size, due more to the prosperity of the area than the number of worshippers. There are legends and artefacts here, including the nave roof, and tales of a ghostly black dog called Black Shuck from the sixteenth century. If you visit during the Aldeburgh Festival, you will find that some of the concerts are held here. Walberswick St Andrew’s Church is one of Suffolk’s most striking ruins. Within the ancient walls, you will discover a smaller church, which was built in the seventeenth century. Here you will find memorials to sailors who have been lost at sea, and a rescued stained glass window from the original church ruins. You will find this building easily accessible. It is very rarely closed, and is within walking distance of both Dunwich and Blythburgh. Saxtead All Saints Church is a typical parish church, made in the traditional Suffolk style, having lots of niches and flushwork. This fifteenth-century church has fragments still encompassed within the restored building which date back to the thirteenth century. As with many of Suffolk’s churches, there are items from different periods, here including a seventeenth-century communion rail and holy table. Outside the church there are stocks and a whipping post, and the whole place is surrounded by large old trees dotted around ancient graves of Suffolk families. Dennington St Mary’s Church is another parish church with plenty to see. This church has the Bardolph Chantry at the east end of the south aisle, while the north chapel is for quiet prayer. The Bardolphs were an important family who lived nearby, with William Bardolph being one of the hero knights of Agincourt who fought in the army of Henry V. You could take time to sit on one of the well-preserved medieval benches, with some truly stunning craftwork at the end of each seat. Badingham St John the Baptist is twinned with St Mary’s Church and has retained certain parts of its Norman history. Standing on top of a hill, it has been noted that this building may be on a pre-Christian site, and could have been used as a defensive stronghold. The most striking part of this church is the porch area, which has some very unusual stonework in it, including a dragon and a woodwose – which is a wild man of legend who lived in the area. These are just a few of the architectural treasures you can find in Suffolk, but not all the churches in the area can be visited. Some can only be heard, or so it is claimed. This is because the churches of Dunwich now lie at the bottom of the sea, after disappearing beneath the waves forever. Some say the ghostly bells can still be heard on quiet evenings, chiming from under the water. These famous hidden relics are detailed in the Dunwich Museum, which is open daily from April to September. Entrance is free but a donation is much appreciated to contribute to the upkeep, and most of the churches you visit will operate the same policy of visitor generosity. All these fascinating places can be visited during your self-catering holiday in Suffolk, while staying at Windmill Lodges. From your log cabin, you will be able to explore and enjoy these wonderful places, amid the sights and sounds of the beautiful countryside. Click here to check lodgeavailability. Now that the spring is here, it’s time to start looking forward to the Easter and May bank holidays. A visit to the country will give the perfect opportunity to enjoy some quality time with your loved ones. If you fancy getting away from it all for a short Suffolk break this spring or summer, then Windmill Lodges offers the ideal base for exploring the county. Located in the heart of the beautiful Suffolk countryside, the site at Saxtead, near Framlingham, houses seven luxury log cabins where you can relax in style and recharge your batteries. 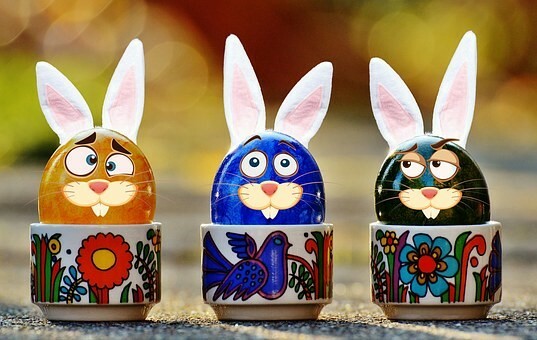 If you have children who are looking for some fun activities, there are a number of events to entertain youngsters in east Suffolk throughout the Easter weekend. The National Trust site at historic Sutton Hoo, near Woodbridge, is staging Easter egg hunts daily from Good Friday, April 14, through to Easter Monday, April 17. The trail will take children through woodland and past the site’s famous ship burial mounds in search of chocolate treats. The nearby Snape Maltings complex will also host a series of family-friendly activities throughout the Easter weekend, including an Easter egg hunt on Easter Sunday, where kids can pick up a map from the visitor centre from 11am onwards and search for eggs around the site. Offering something for all ages, the Easter weekend will also include a farmers’ market – although the main focus will be a performance of Bach’s St John Passion. Works by Beethoven, Bartok and Philip Glass also form part of the programme, and the Britten-Pears orchestra will be playing. Just a short distance from Windmill Lodges, RSPB Minsmere has a wildlife walk for the more energetic on Easter Saturday morning, while Birds for Beginners starts at 10.30am on Easter Sunday. This is on top of the usual entertainment on offer in the site’s Wild Zone, such as den building, child-sized tunnels and a willow-woven nest. Slightly further afield, animal-lovers of all ages should enjoy the All About Dogs Show on Easter Sunday and Bank Holiday Monday. Held at Trinity Park, on the outskirts of Ipswich, the event offers a number of canine competitions such as agility classes, plus a range of dog-related entertainment. It’s a good idea to check any events are still going ahead as planned before making a special trip. 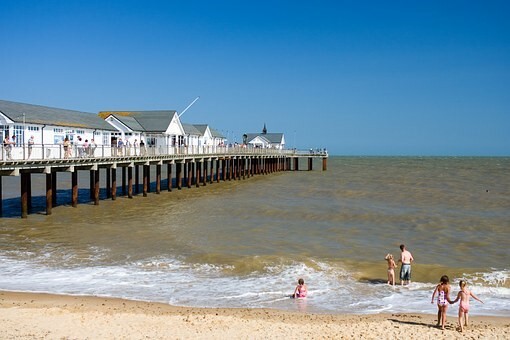 Easter is fairly late this year, and, if the weekend weather is good, you could enjoy an afternoon out in the sunshine at one of Suffolk’s superb seaside resorts. There are also two bank holidays coming up in May, which again offer the perfect opportunity for a short Suffolk break and a day out on the coast. One popular place to visit is Southwold, which is a reminder of a bygone age. The town owes its distinct character to its series of small, independent shops and cafes, not to mention the world-famous Adnams brewery. It also boasts a thriving pier, with unusual, quirky attractions such as a water clock and house of mirrors, and an adjoining child-friendly amusement arcade. If lazing on the beach is more your thing, then Walberswick, across the River Blyth from Southwold, may be more to your taste. Covehithe, just to the north of Southwold, also has a top-quality beach, even though the coastline here is constantly changing shape due to erosion. Closer at hand, Aldeburgh is known for its connection with the late composer Benjamin Britten, who made his home there and whose influence lives on through the Aldeburgh Festival and the nearby Snape Maltings concert hall. The town itself has a thriving arts scene, with a number of galleries alongside the shops and cafes. Or you could take a stroll round historic Framlingham. The charming market town is just a few minutes away from Saxtead by car, while the castle boasts a long and fascinating history. There is lots here for children to enjoy, including a walk around the walls, and the whole town is full of historic buildings, with some interesting independent shops. Indoor entertainment options include Aldeburgh Cinema and Woodbridge’s Riverside Theatre, or you could relax and find all your entertainment on site at Windmill Lodges. Our heated indoor swimming pool is open, for the exclusive use of guests, from the Easter weekend onwards and all our lodges boast their own private hot tub, coal-effect fire, kitchen and en-suite bathroom or shower. Nature-lovers will enjoy spotting a variety of creatures, many of the feathered variety, in and around our small lake. To find out about availability and book your break in one of our luxury log cabins, follow the link. Romance isn’t just for Valentine’s Day – because romantic breaks in Suffolk can be enjoyed at any time of the year. Nowadays we all have such busy lives, with work commitments, the kids and everyday life getting in the way, so there rarely seems time to show your loved one how much you really do appreciate them. The answer to this could be to take a well-deserved weekend or midweek break together. A short vacation away from it all, even for a few days, will enable you both to enjoy some quality time together, making your trip magical. Here are 6 reasons to spend a romantic break in the beautiful East Anglian countryside at Windmill Lodges near Framlingham. This is a place where you can discover attractive settings, historic towns and villages, and wonderful beaches to wander along, all of which can be visited whenever you want from your holiday lodge. Getting Away from Everyday Life – Our daily lives are so busy, with little time for relaxation, and however much we try to take the time to enjoy an evening out or a get-together with friends, there never seems to be enough time to appreciate it properly. There will often be something which takes precedence over your best laid plans. An escape from home, even just a short one, will give you a period away from the usual routine. All our lodges offer luxury beds and linen, with comfortable leather sofas opposite warm, real-effect fires. These extra little pleasures will soon begin to recharge your batteries. Holidays Close at Hand – Jetting off can seem a great idea, but in reality, the bother of getting there with possible airport delays and other frustrating hassles make it an easier idea to enjoy a romantic retreat closer to home. This will leave you more time for relaxing – without the stresses of travelling too far. A break in the UK can be just as much of a treat as travelling further from home. Two’s Company – Many couples don’t get the chance to actually spend much time alone together. With the kids at home, even the grown-up ones, there never seems to be a moment to seize any quality time. Taking a break in a romantic lodge will give you the chance to rediscover the joy of each other’s company; with the added extra of peace and quiet in the tranquil location. Relax in Luxurious Setting – In each lodge there is a lavish hot tub, where you can relax for hours, just soaking away all your troubles. During your down time, while you are enjoying your break, there is plenty of time to explore the surrounding area, where you will find a multitude of activities to discover. Even if the weather is cold, the warm fireside and luxurious lodge will soon help you both to unwind. Beautiful Countryside and Coast – A break away from it all would not be complete without a walk along the beach hand in hand. The picturesque surroundings of Windmill Lodges are set around a scenic lake if you don’t want to journey too far. If you do decide on a long romantic walk, then Suffolk’s Heritage Coast will quickly banish any stresses and strains. You may decide to venture further afield, perhaps to take a trip to Dunwich, or Aldeburgh. Both are places with outstanding and unspoilt natural beauty, and offer fun boat trips and places to enjoy private picnics together. There are fascinating old buildings and castles which are only a short drive away, and plenty of chocolate-box villages to wander around. At the end of the day you can come back to your lodge and unwind even more. Share a Romantic Meal – Sharing a special meal together must be one of the most pleasant experiences; whether going out to a restaurant or eating in front of the welcoming coal-effect fire in the lodge. Romantic breaks in Suffolk offer the chance to visit a wide selection of fine dining restaurants, and in Aldeburgh, just half an hour’s drive away, The Brudenell has 2 AA Rosettes. Here a range of seasonal dishes can be enjoyed alfresco on the sea-facing terrace. There are also many excellent country pubs to choose from in the area surrounding Windmill Lodges. However, you may decide to cook in the well-equipped kitchen in the lodge. You will find there are plenty of local food shops offering an eclectic mix of fresh food to enjoy. Leo’s Deli in Framlingham is one such place, just minutes away by car, with cheeses, charcuterie, chocolates and more. John Hutton, the butcher in nearby Earl Soham, also has a great selection of fresh meats as well as a deli counter. With so much delicious food to choose from in the area, you will not be disappointed. To book your weekend or mid-week romantic break in Suffolk, where you will both enjoy making memories to look back on with fondness, view our availability here. Short of ideas on how to surprise your loved one this festive season? Inspired by the song ‘12 days of Christmas’, we thought we would bring you a dozen reasons why one of our luxury short breaks in Suffolk would make a superb gift this winter. Holidays are all about recharging the batteries, and what better way to do this than enjoy time out in one of our seven country log cabins? Each lodge has its very own private hot tub, which is the perfect way to relax and unwind during the coldest months of the year. This East Anglian county is known for its unspoiled countryside, chocolate box villages and pretty coastline. Set in the heart of the Suffolk Coastal district, Windmill Lodges is a fantastic destination for a short romantic break, with plenty of places to explore whatever the weather. The county is filled with memorable locations inspired by fiction. This includes the ancient village of Lavenham, which sparked the idea for Harry Potter’s fictional birthplace, and the enchanting destination of Thorpeness, once regularly visited by the author of Peter Pan, J M Barrie. If you love exploring castles and old buildings, there are plenty of these within easy driving distance from our log cabins. 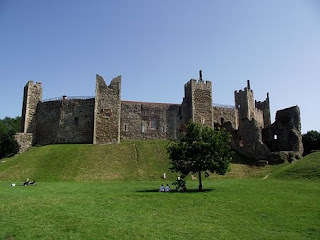 Framlingham Castle and Orford Castle are popular attractions that are also open in winter (see the websites for opening times). What is more romantic than a coastal walk? Whether you would prefer a stroll along the beautiful, deserted sandy beaches of Walberswick or want to enjoy the magic of Aldeburgh’s sea shore, it’s not hard to find a favourite beach along Suffolk’s 45 miles of coastline. Not far from Windmill Lodges are some excellent farmers’ markets and farm shops where you can stock up on local produce. You’ll stumble across many more within driving distance of our exclusive holiday lodges, including Jimmy’s Farm and Suffolk Food Hall, both in Wherstead, Ipswich. Whether your favourite tipple is a glass of wine or a pint of beer, Suffolk has something for you. Why not visit Shawsgate Vineyard, Framlingham? Alternatively, you can sample the local brew after enjoying a tour of Greene King brewery in Bury St Edmunds or Adnams Brewery in Southwold. From country sports, such as horse riding and rifle shooting, to adrenaline fuelled pursuits like high rope climbing and paintballing, there are some fantastic activities to take part in that will make your luxury short breaks in Suffolk even more memorable. 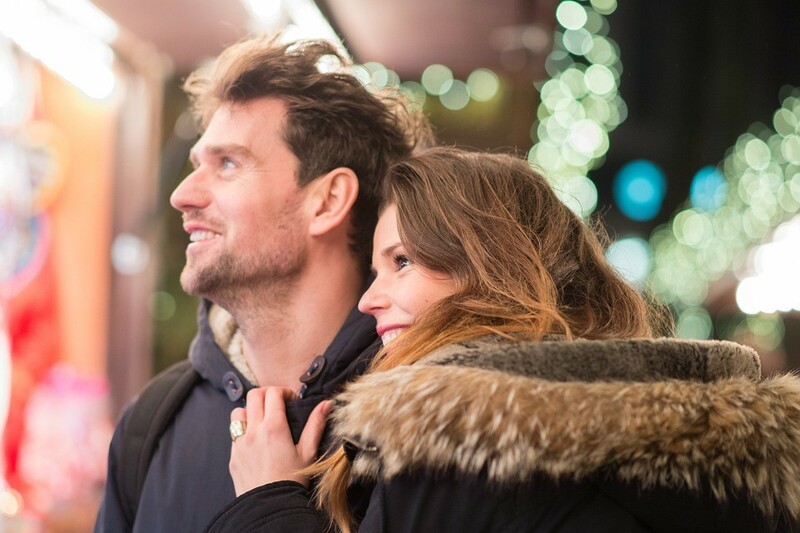 Whether you want to visit the Christmas markets, browse antique stalls or explore the independent stores at Woodbridge, winter in the ideal shopping season as splashing out becomes even more delightful under the glow of captivating Christmas lights. From art galleries to museums, music and theatre, the colder months are a great time to immerse yourself in the county’s culture. The world-renowned Snape Maltings Concert Hall has a year-round programme of events including jazz, folk and classical music concerts. Meanwhile, Christchurch Mansion houses paintings by Suffolk’s most famous artists, John Constable and Thomas Gainsborough. You’ll be spoiled for choice with the wide range of restaurants Suffolk has to offer, from fine dining to pub grub and international cuisine. If you are visiting us at Christmas time, The Old Mill House in Saxtead is serving food on Christmas Day but book early to avoid disappointment! Windmill Lodges’ log cabins have everything you need to enjoy a cosy winter stay. From coal effect fires to en-suite bathrooms, fully-equipped kitchens, leather sofas and sumptuous bedrooms. Our five star Kingfisher Lodge even has its own infra-red sauna, which is the perfect treat for an indulgent long weekend away. Click on this link to see the availability of our four and five star log cabins this winter. If you are booking one of our 4 star log cabin holidays over the Christmas period, you might want to stock up on seasonal delights at one of Suffolk’s Christmas markets. Lights, carol singing and the enticing smell of mulled wine and hot roasted chestnuts will add to the magic of the occasion while you browse the wonderful handmade gifts, decorations, and food and drink stalls. Why not soak up the atmosphere this winter at our pick of five of the county’s best Christmas markets? Not far from the stunning medieval streets of Lavenham, this traditional German Christkindlmarkt is one of our favourites. With its 15th century half-timber framed homes, Lavenham was historically one of the wealthiest in England. Home to merchants and nobility, and those who made their fortune in the wool trade, this picture-postcard village is now a much-photographed tourist destination. Lavenham has teamed up with the neighbouring village of Preston for the market at the attractive Preston Manor Barn, on Saturday 19 November. Preston is two miles from Lavenham, and, although both villages are just under an hour’s drive from Windmill Lodges, it is still worth a visit as you can make a day of it and combine your trip with a walk around Lavenham. This pretty market takes place between 10am-4pm, and there is an entry charge of £3 per person. If you would prefer a market closer to our holiday accommodation (not far from Woodbridge), Ipswich Christmas Market could fit the bill. Suffolk’s county town is a half hour drive from Windmill Lodges and you will be rewarded with an atmospheric market that will put you in the mood for celebration. Set against a background of twinkling lights, and the town’s landmark Christmas tree, this fabulous outdoor market on the Cornhill offers an array of street entertainment and a fantastic range of stalls. A top tip is not to dine before you go as there will be a host of food stalls to choose from. Just make sure you queue up early! 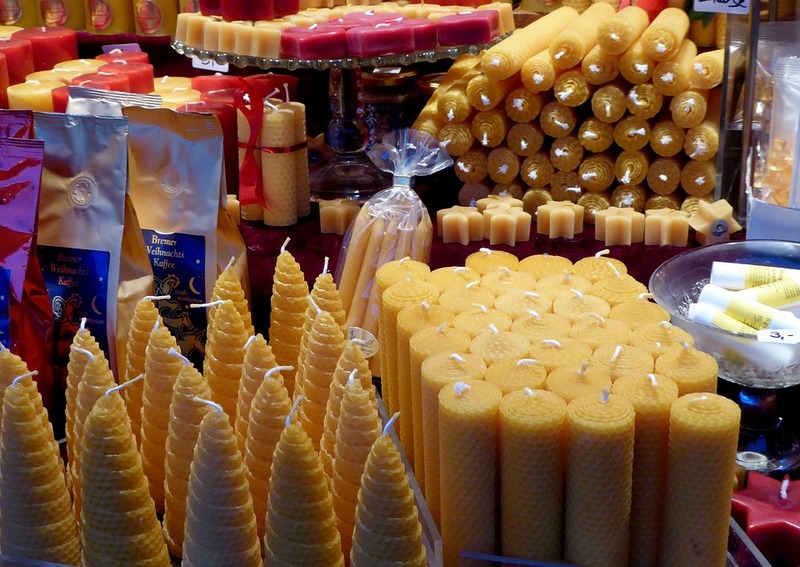 This three-day Christmas market takes place between Friday 9- Sunday 11 December, 10am-6pm. It closes at 4pm on Sunday. There is no charge for entry. You can’t help but be swept along with the festivities at this marvellous annual street market on Bury St Edmunds’ historic Angel Hill. You can browse traditional crafts and gifts at one of the 300 stalls, while sipping mulled wine and snacking on Christmas treats. It’s a major family-friendly event, and if you are holidaying with little ones in tow, then pop in to Santa’s grotto to visit the man himself. The market, now in its 13th year, also promises some street entertainment and activities for children, and is just less than an hour’s drive from Windmill Lodges. This four-day event takes place from Thursday 24 -Sunday 27 November and starts at 10am. Entry is free. 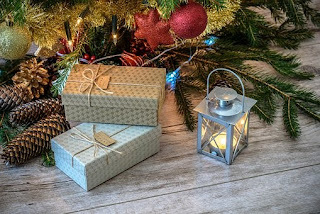 For more Christmas cheer, head to Felixstowe Christmas Craft Market, which is about a 45-minute drive from our holiday lodges. You could combine your visit with a day by the sea to make the whole experience even more memorable. As well as the craft and snack stalls, guests of honour include Father Christmas and the town’s Mayor, who will be switching on the festive lights! This free event, along Hamilton Road, takes place on Saturday, 26 November, 10am-6pm. This Christmas charity market is an easy drive from the lodges and takes place on a smaller scale on Framlingham Market Hill. The Leiston Royal British Legion Band will provide background music for the occasion and Morris Men will add some festive cheer. event runs from 1pm to 6pm. Windmill Lodges is an exclusive complex of seven luxury wooden holiday lodges, offering 4 star log cabin holidays. For more information, or to book one of our lodges this winter, just click on the link above. Are you keen to get away from it all and relax, but still months away from your next long holiday? If so, taking a shorter break for three or four nights is the perfect way to recharge your batteries without having to take a lot of time off work. Short breaks in log cabins at Windmill Lodges are ideal for couples wanting a romantic long weekend together, or for families looking to enjoy a mini-holiday. 1. Visiting New Places – You don’t have to travel to the ends of the earth to discover an exciting new area. If you usually go on long-haul holidays, you may be amazed at how much there is nearer to home which you had never seen before. 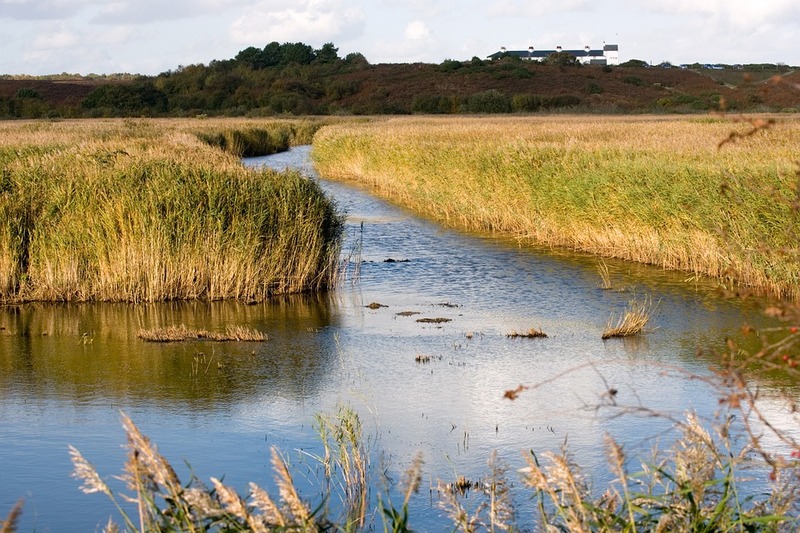 If you are staying in Suffolk, you can explore the bird reserve at Minsmere and the unspoilt landscapes of Westleton, pictured above, as well as historic towns like Framlingham and Woodbridge and coastal resorts such as Aldeburgh and Southwold. Your break will give you a different outlook, with memories to share with others when you return to work. You might enjoy it so much that you decide to take longer holidays in Suffolk next time around. 2. Recharging Your Batteries – Working solidly for long periods without a break can make you feel over-tired and run down. This could mean it’s hard to concentrate, gradually affecting your productivity and focus while at work, as well as making it difficult to unwind and enjoy your evenings and weekends. Taking some time out for just a few days means a chance to escape from the daily routine, especially if you travel to a countryside location far from the rat-race. Pampering yourself, for instance by enjoying a dip in your private hot tub at one of our luxury lodges in East Anglia, will make you more relaxed. Surveys have found evidence that productivity tends to improve after holidays, and people can also concentrate better on their work when they return after time away. 3. Mental and Physical Health Benefits – One research study carried out by academics at the University of Pittsburgh found that taking a holiday or short break has a positive effect on people’s mental health, helping to reduce the risk of depression or stress. The study also found that physical health can be boosted by time off, with blood pressure being lowered. Yet another health benefit reported by survey respondents was losing weight – perhaps because holidaymakers often go for long walks after enjoying a delicious meal! 4. Spending Quality Time with Loved Ones – Daily life can often be such a rush that it is hard to make enough time to talk to your partner and children about what is going on in their lives. Sometimes, even when you are all in the same house, clashing schedules mean that eating a meal together can be difficult. Too often families can all end up grabbing a snack at different times. Taking a short holiday gives the chance to spend more time together in a relaxed setting, without the constant pressure of timetables and deadlines. 5. Getting Exercise – As well as being a time to relax, holidays are also a time when many people enjoy taking some exercise. Enjoying the open air while walking or cycling are clearly beneficial to health, and the relatively flat landscapes of Suffolk are ideal for both. Many guides for walkers and cyclists are available to download from local council websites, and a number of cycle hire firms are based locally if you fancy travelling on two wheels. There are also swimming pools in Woodbridge and Leiston, conveniently located for visitors to our site, and of course our swimming pool is open in the spring and summer months. 6. Trying New Activities – Short-break holidays give the chance to be adventurous and to try out all sorts of different things you have never done before. This may help to sow the seeds of a new hobby which you can pursue after you return home, and will also give you greater confidence about new experiences in future. Unusual activities available in our area include taking a boat trip on the River Deben near Woodbridge, off-road karting at Beacon Rally Karts in Woodbridge or hiring canoes, kayaks and stand-up paddleboards from Iken Canoe. An hour’s drive away, Go Ape in Thetford is a popular high ropes course. The perfect way to benefit from all of these advantages of short breaks is to book a stay in our log cabins near Framlingham. We offer 3 and 4-night stays at our lodges, from Friday to Monday or Monday to Friday, as well as longer holidays. Our accommodation will give you the best of all worlds, since it is in an unspoilt area but is luxuriously equipped, so you can get away from it all and pamper yourself at the same time. Short Breaks in Log Cabins – Click to see our range of holiday lodges in Suffolk. Designed with couples, families and groups of friends in mind, our self-catering Suffolk holiday accommodation is fully equipped and furnished to the highest standards. Each of our lodges have their own private hot tub as well as coal effect fire, well equipped kitchen and en-suite bathroom. All of our log cabins have been awarded 4 or 5 stars from the English Tourism Council. Windmill Lodges - Log Cabin Holidays. Simple theme. Powered by Blogger.